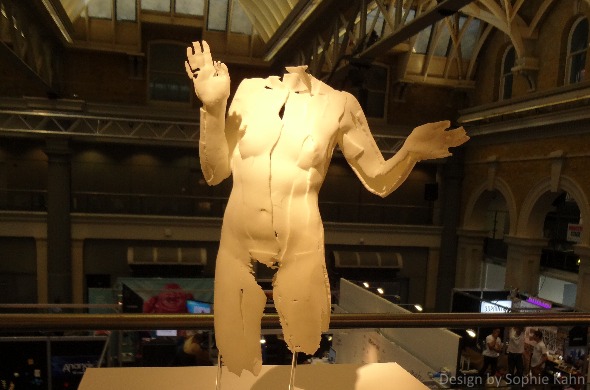 2014 Highlights and Wrap-up for the London 3D Printshow! 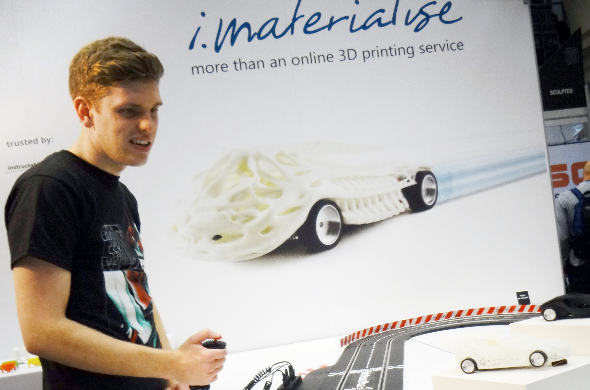 The 2014 London 3D Printshow ended late last weekend as one of the biggest 3D printing events of the year. Now in its third official showing, the event was almost twice as large as last year’s, and sets a high bar for the Printshow’s global expansion. 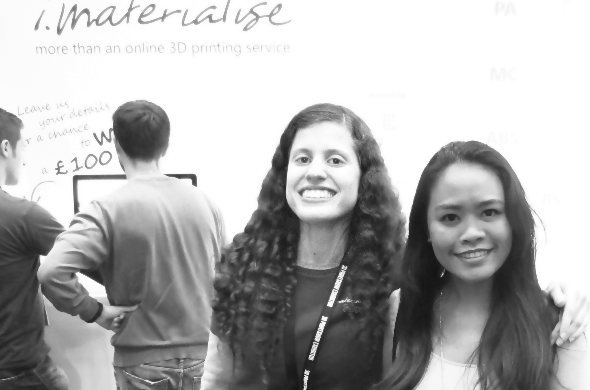 The i.materialise Community Outreach team has your inside sneak peek! For those of you who couldn’t attend, here are some photos, highlights, and a few of our favorite moments. Additional photos are on our Facebook page. The 3D Printshow is a large consumer-oriented 3D printing conference that lasts for about three days, and is currently held in three major world capitals: London, Paris and New York. It is an event for artists, engineers, experts, and newbies to network in one place, and come away inspired, connected, and energized. 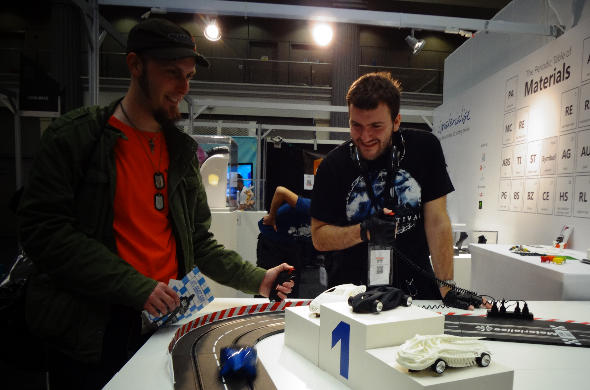 The i.materialise racecar track featured 3D printed cars, and was a hit with Printshow attendees! 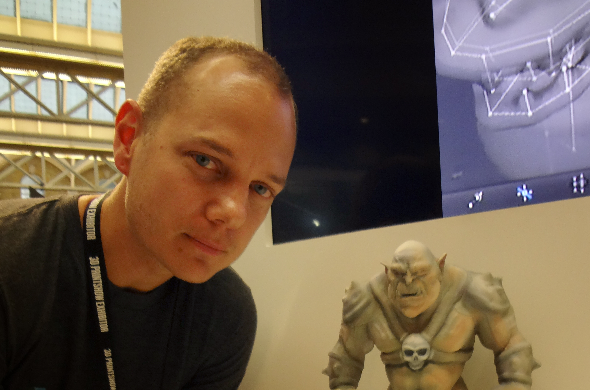 3D Printshow is the place to learn about 3D printing, try out software, touch materials, and get 3D scanned! Visitors can personally touch, see, and hear the latest in developments in the field. It also features a glittering industry awards ceremony, networking events for professionals and start-ups alike, and speakers delivering the latest product demonstrations for brands such as Adobe and Autodesk. 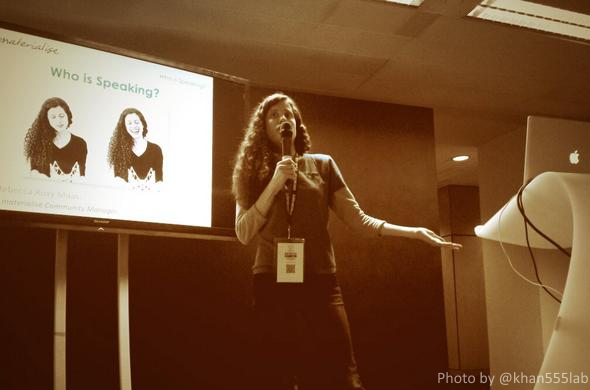 Speeches are normally reserved for Vice Presidents and CEOs, but several Community Managers took part! 3D printed sculpture by Sophie Kahn. 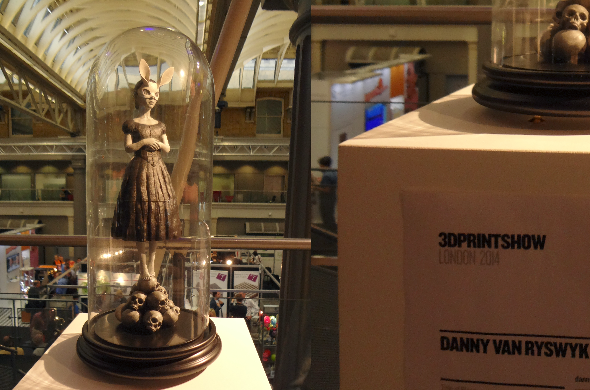 Here is “White Rabbit” by Danny Van Ryswyk, as it was exhibited at the 3D Printshow! 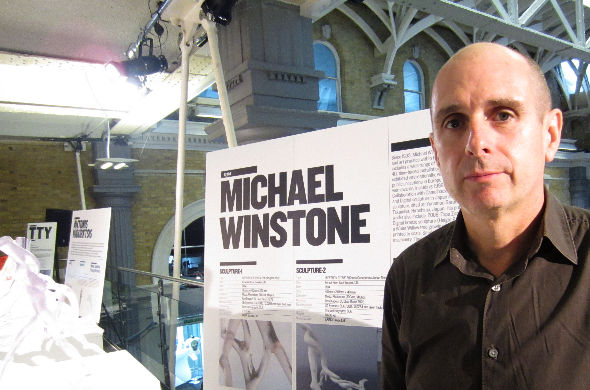 Michael Winstone at the 3D Printshow. He uses Materialise Magics to help him 3D print trees! There was also an awards ceremony that took place aside the River Thames. 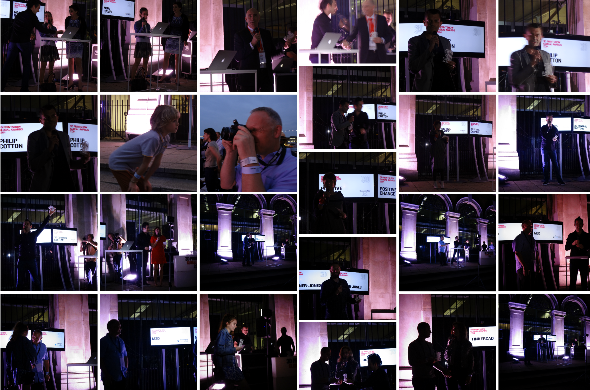 Dave Marks, co-founder of the 3D Printshow, hosted the event and announced all winners. Among the sea of reporters was veteren 3D print reporter Kerry Stevenson, flanked by Marney Stapley. Congratulations to all winners and nominees! Winners received a free 3D scan, along with their award. Among the winners were Autodesk (Brand of the Year), Noa Raviv (Fashion Designer of the Year), Julia Koerner (Rising Star), and 3D File Market’s founder Philip Cotton (Educational Excellence). Here’s the complete list of award winners. Here is a full list of winners! The sound stage featured 3D printed instruments you could play… and floor tiles that lit up and played music. These visitors started an impromptu jam session! Instruments included 3D printed bagpipes, violins, guitars, and flutes. This stage was put together by Picaroon, an interactive design installation team. Picture from the 2014 London 3D Printshow’s Sound Stage, featuring 3D printed instruments. The sound stage is by Picaroon, a design installation team based in Edinburgh, UK. A large number of students attended this Printshow, ranging from college kids to preteens to school-age children. Despite differences in age, they shared a bouncing, bright-eyed enthusiasm for 3D printing– one reflected back by the speakers presenting. Many booths brought along students in residence, and many students stopped by our booth. 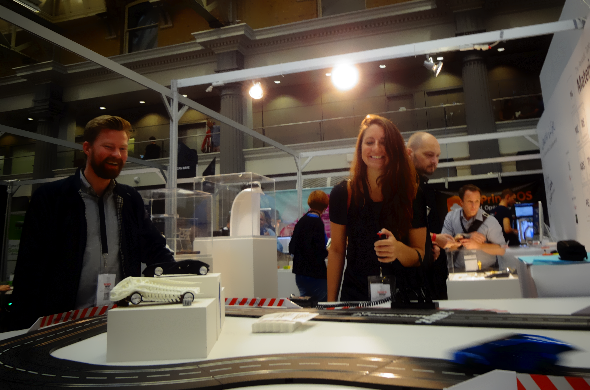 Answer for all students who asked: Materialise and i.materialise printed all cars on the track in mammoth resin. Multicolor Gloss wasn’t the only big i.materialise preimiere at the show. Your Community Manager visited London for the first time ever, and gave her first official i.materialise presentation. 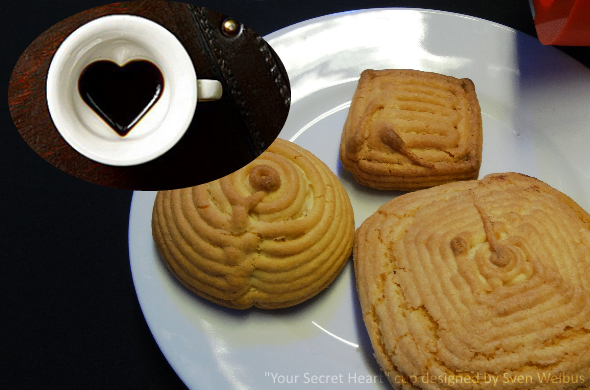 Specifically, she gave two. Topics? 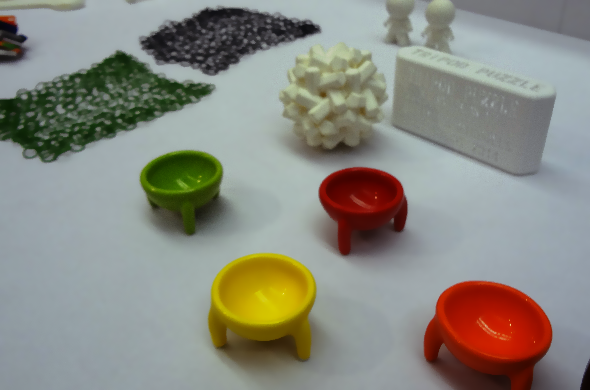 “Free Software” and “3D printing in Metal and Ceramics,” featuring a free Ceramics give-away! Your Community Manager, in action. Photo by the talented Khan from 555Lab. Go check him out! The talk had a free item giveaway which included some of the 3D printed ceramic cups pictured here. Dorry YunChin Hsu came by our booth! Her work was displayed in the upstairs gallery, and featured some of the finest, most detailed 3D printed art we have ever seen. Check out her work here. 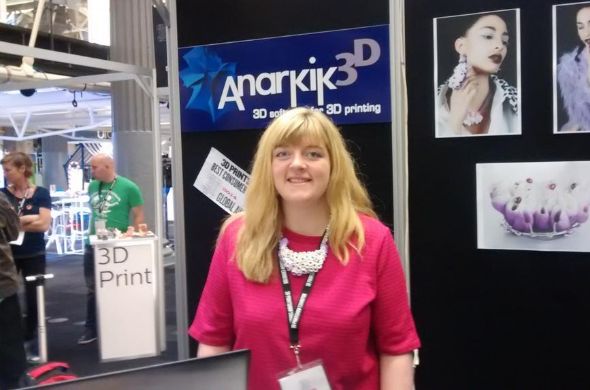 Jewelry designer Elizabeth Armour was at the 2014 London 3D Printshow. She came by our booth, and was also giving design demonstrations at the Anarkik haptics booth. 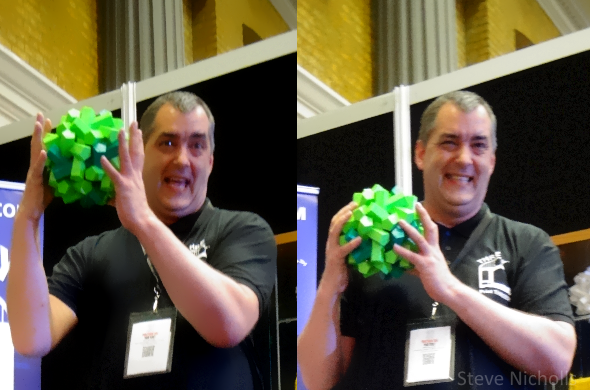 Designer Steve Nicholls of Threedy had intricate, tightly fitted 3D Printed puzzles on display. 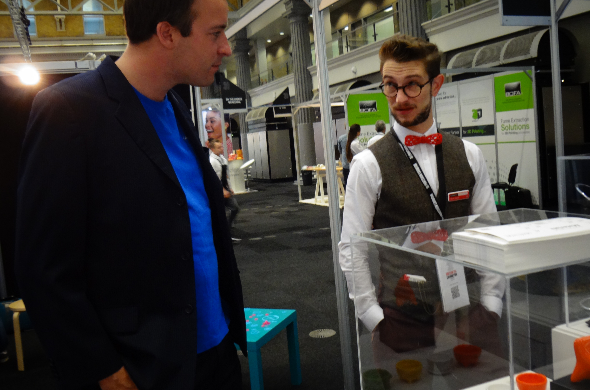 Sam really liked the 3D printed bowtie worn by Fab & Dandy’s Oliver Smith! 3D printed food was a big part of this year’s presentation, and foods included chocolate, cookies, and other dough products. They smelled delicious, and we’re told samples ran out in less than three hours. 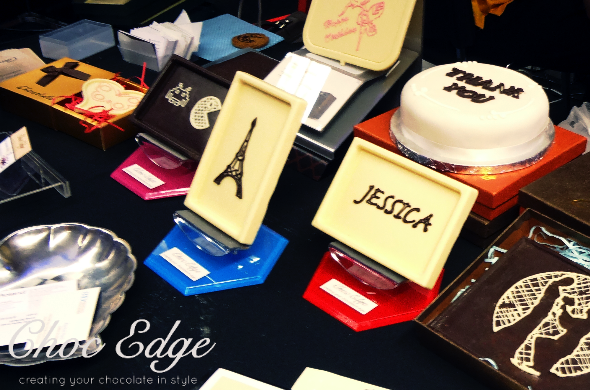 3D Printed Chocolate from Choc Edge, Looks good! What would the Printshow be without the humble, smiling staff who made it happen? Attendees might have noticed how good-looking the staff is. Some of them model, and others just look good. 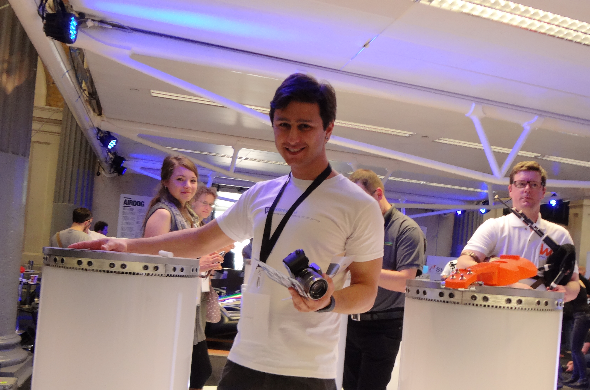 It’s safe to say that 3D printed items weren’t the only thing worth noticing at this event! 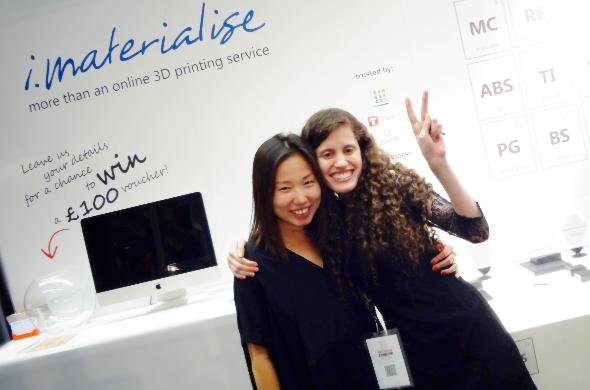 Special thanks to 3D Printshow staff! For more pictures, see our Facebook page here. Got pictures from the show? Link them in the comments!